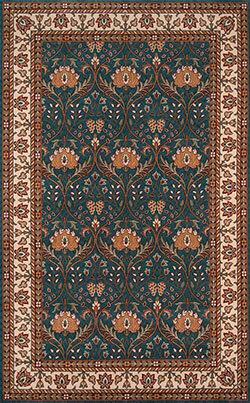 Persian Garden rugs are one of the finest New Zealand Wool power woven collections on the market today. A unique color palette with Teal and Coral accent colors makes these rugs truly a stand out. Timeless designs of old Persian craftsmanship would amuse you with intricacy and balance and will nicely complement a contemporary decor.